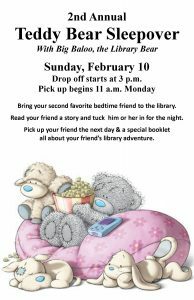 We love the knowledge and imagination books give us, and pride ourselves in the assistance we give our community everyday. 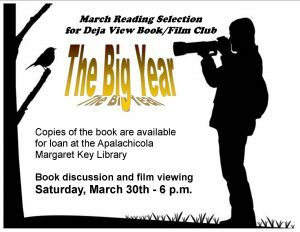 See our many pages for disaster relief assistance, programs and events upcoming or those that have passed, library catalog, hours and contact information, and more. 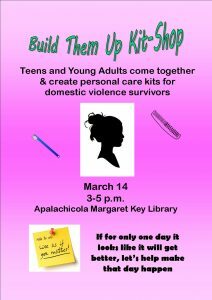 Or come and visit our corner of the world where we hold so much of the world inside. 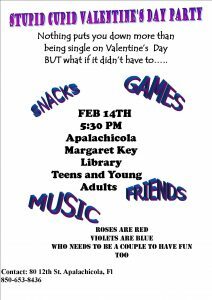 Saturday & Sunday — 1 p.m. to 5 p.m.
Monday & Tuesday — 10 a.m. to 7 p.m.
Wednesday, Thursday & Friday — 10 a.m. to 5 p.m.
An event you don’t want to miss! 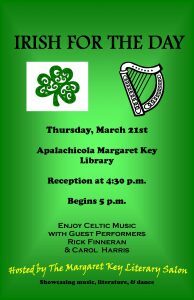 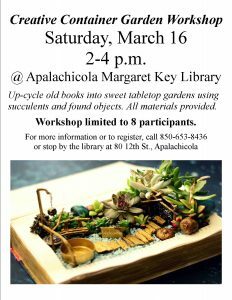 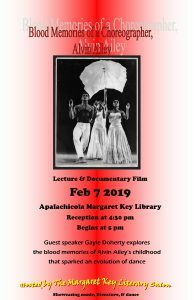 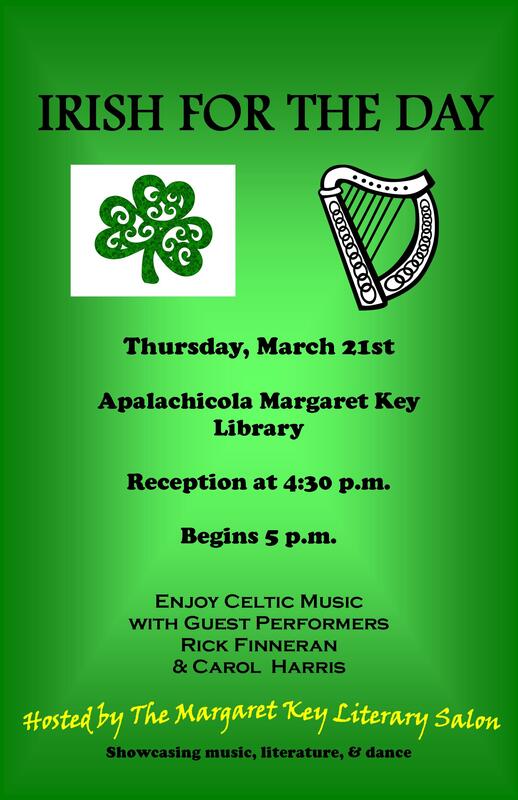 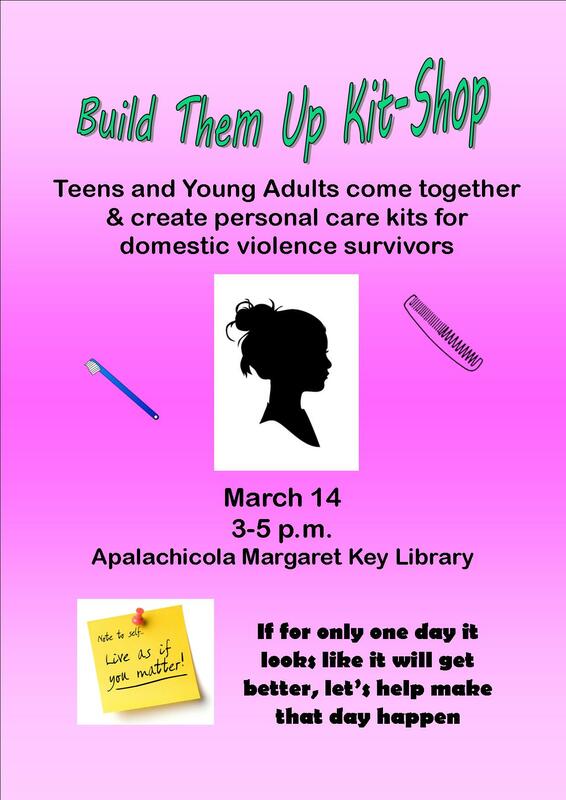 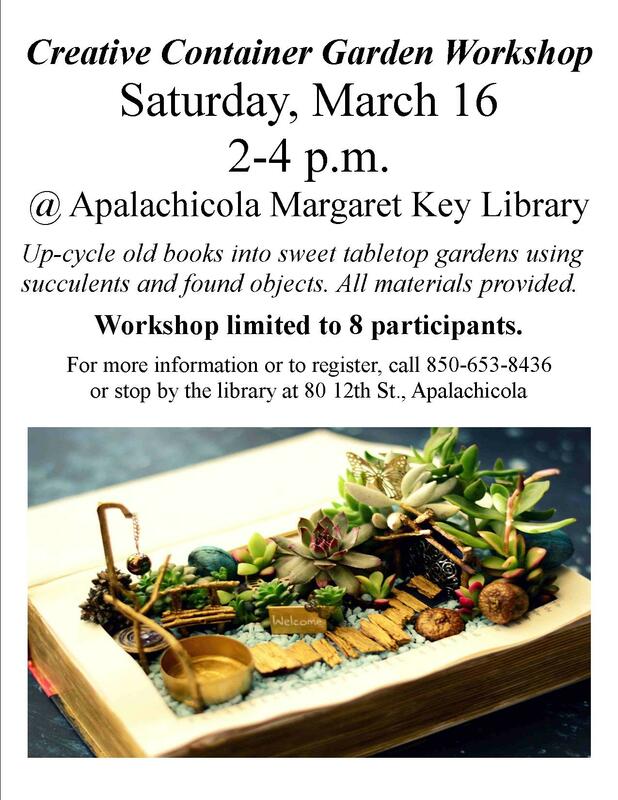 Feb 7 at the Apalachicola Margaret Key Library. Reception at 4:30 pm, Lecture and Film Begin at 5 pm. 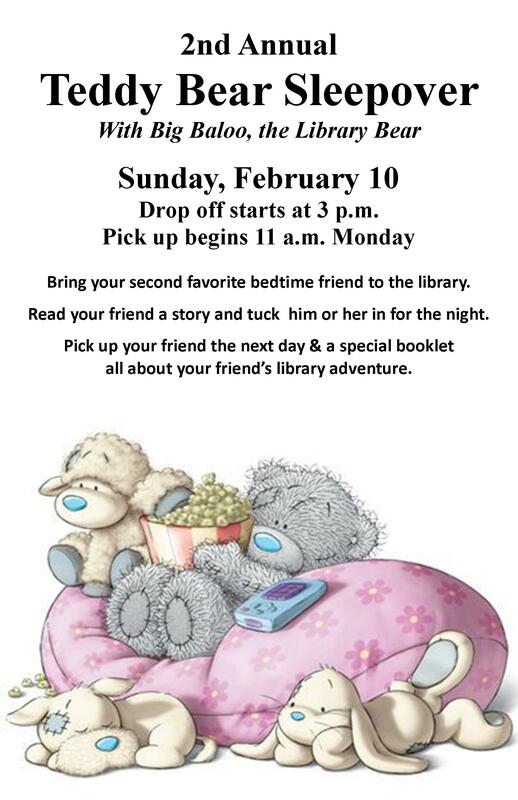 Get your kids’s bedtime friend ready for a night of adventure! 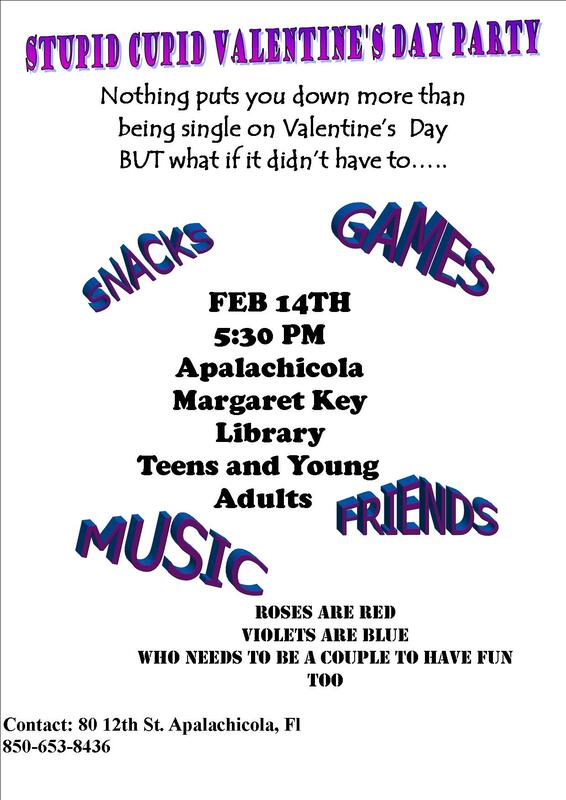 Calling all Teens and Young Adults to celebrate Valentine’s Day, their way! 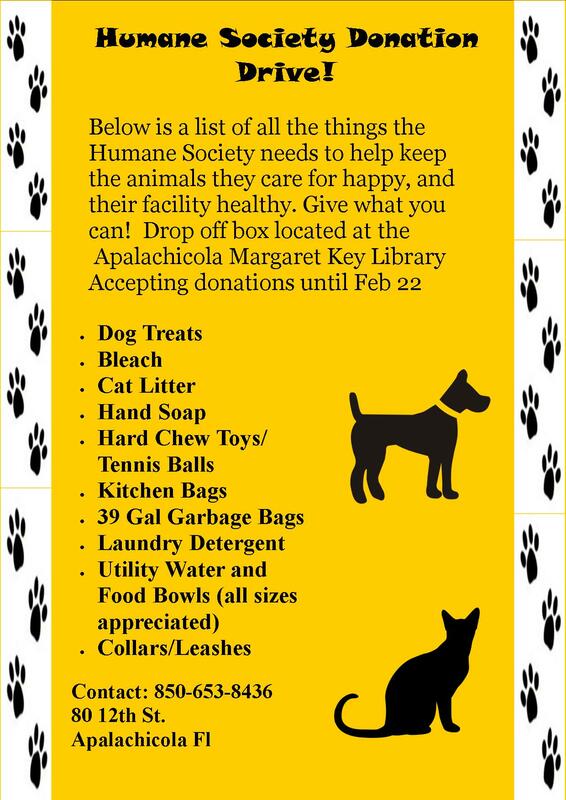 Accepting any of those donations until the 22nd! 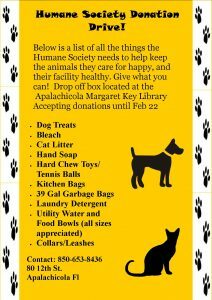 Please give what you can to our furry friends. 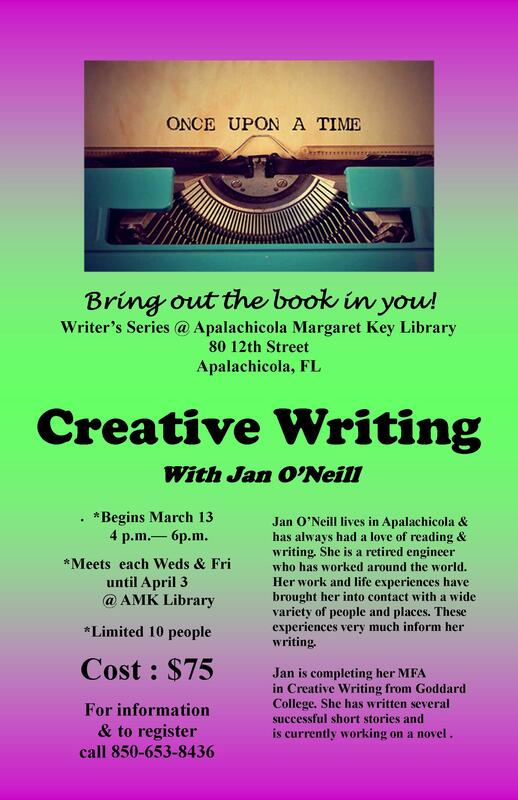 Writers in the community reserve your spot for this fantastic creative writing workshop. 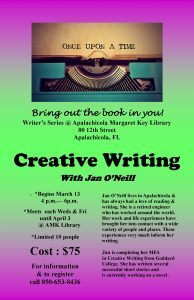 Work on your personal writing skills and develop an eye for critiquing.